Advance is controlled by ECM. No weights or vacuum advance. I didn't see a application, but it doesn't mean it couldn't be. Last edited by WW7; 04-16-2019 at 08:17 AM. I tried one a while back and found that the attaching clips just will not work with our distributor. I have an 1986 too. I guess you could cut off the clips and put long threaded bolts in their place ... stock is fine. Last edited by 3D-Aircrew; 04-16-2019 at 09:21 AM. I am thinking just to stay stock, I would like to have all MSD Stuff, because I just bought some wire looms and have to re pull all the wires to run them nice and neat. But I can buy something else for the car if it wont make a power difference. Still up in the air though. Thanks for your help! I really appreciate it. Last edited by WW7; 04-17-2019 at 11:53 AM. My wife and I had a really nice Chevrolet Pick Up truck (V-6, 5 speed Silverado 1500) and always being someone who likes to tinker I put a MSD ignition and coil in the truck. I soon started replacing distributor caps and rotors every 6 months. My truck had the small cap HEI system on it and it turned out that inside the distributor cap there were highly charged electrical particles that were developing carbon tracks that were "alternate paths to ground" inside the cap. I switched back to the stock coil and it went away. 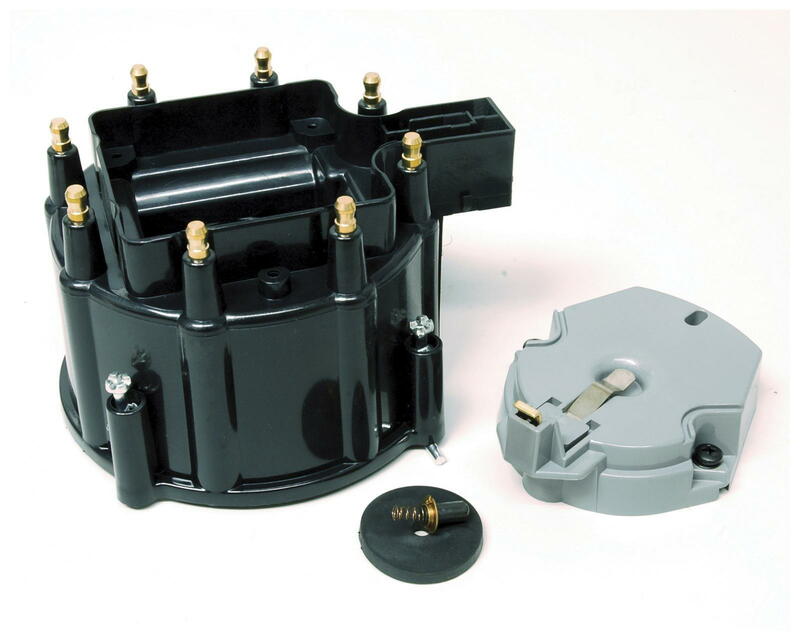 The MSD coil was just a bit too hot for the small HEI distributor cap used on our engine. Lesson learned: Don't use a high voltage coil if you have a small distributor cap. We also own a 1968 Corvette, a 427 car that has the entire ignition system by MSD and it has been a great system. Each spark sounds like a welder and the car runs smoothly up to 6000 rpm, what more could you ask for? I have one of their earlier model tach drive MSD Billet Distributors and have great success with them. I did not want to hurt my factory Transistorized Ignition Systems so I pulled that system and installed the MSD stuff back in the early 1990's. You should be happy with a MSD system and their coil as they do improve your emissions and sure make a hot spark (and a lot of them each time under 3000 rpm). I like the ability to crank my timing back 20 degrees while cranking so my starter doesn't have to work as hard. They also have a decent staff to answer questions and they seem to stand by their products. I can validate the warning. While troubleshooting my 86, I swapped in an MSD coil from my 78. While it fixed the problem, it drove the digital tach crazy. I went and bought an AC Delco replacement and everything was good again. There is no real benefit to anything fancy on the L98 unless you are going to do a whole lot of work, and even then, the stock HEI is gonna be fine since they don't turn massive RPMs.